Coming from the juniors as a fifteen-year-old, Michael Chang set numerous "youngest player" records. In 1987, he was the youngest player to win a main draw match at the U.S. Open and the youngest to reach a Tour semifinal. 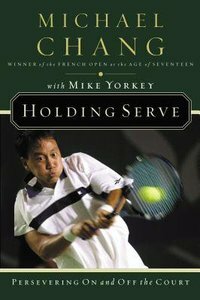 As the youngest French Open/Grand Slam Champion ever in 1989, Chang was the first American male to win the French Open since 1955, and he became the youngest player to rank in the Top 5. In 1991, he reached the quarterfinals or better in thirteen tournaments. Chang is considered one of the fastest players on the circuit, possessing an all-court game.